The CARE for AIDS center in Tudor opened in 2015 at Reachout Emmanuel Baptist Church. The church is led by Pastor Simon Mwangi. 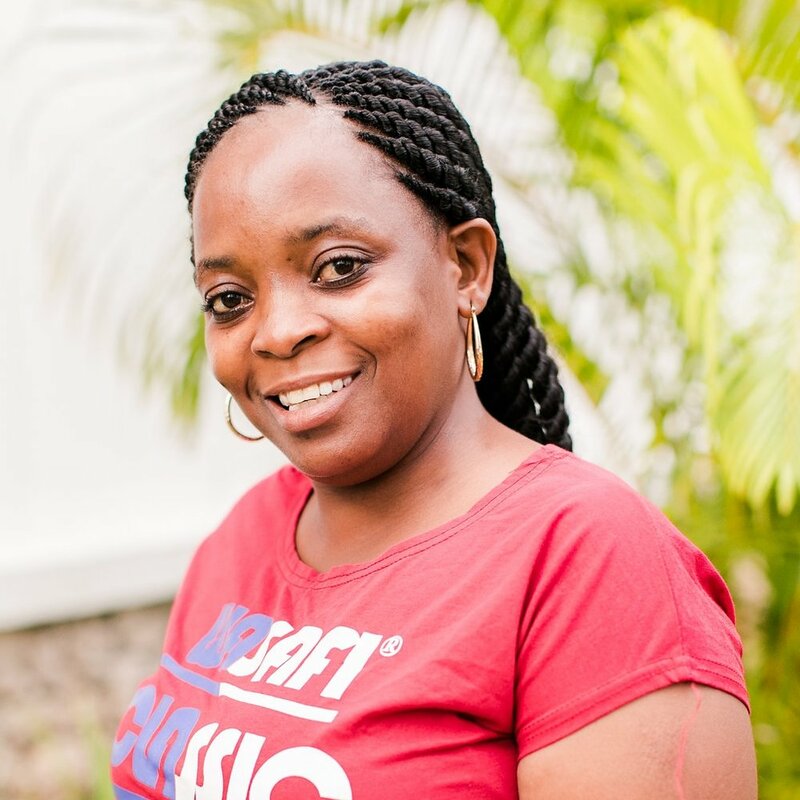 Rose joined the CARE for AIDS team in June of 2015 and is passionate about her work with HIV+ parents. Her favorite part of the job is when she sees clients improve physically, economically and spiritually. Samson and his wife, Hellen, have one young son. Samson joined the CARE for AIDS team in 2015 and is passionate about sharing the Gospel. He wants sponsors to know, “They are doing a good job, and transform many lives of people here in Kenya. The staff is also challenged." In 2000, Rachel was very sick and was taken to the hospital for treatment. She was injected with a variety of medications and IVs, treating her for a variety of ailments, but she was not tested for HIV. A short time later, her neighbor started spreading false news that Rachel was HIV positive, claiming that she recognized the symptoms in her. She was angry at her neighbor, but soon the news died down. 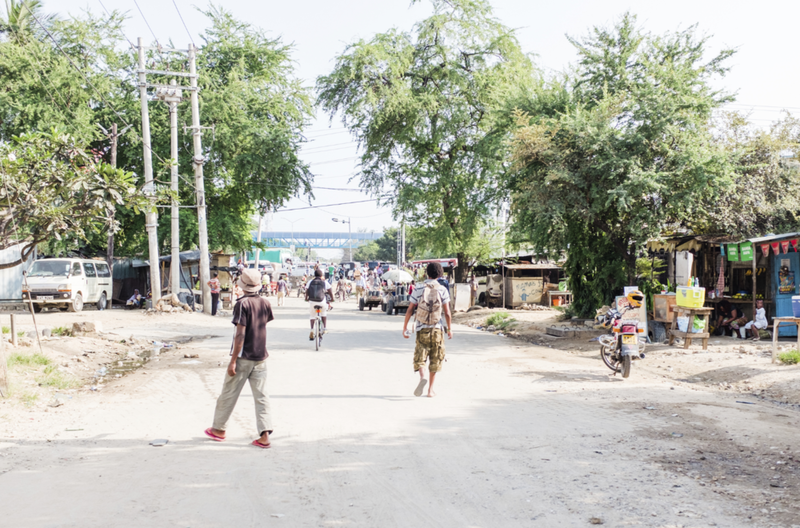 A few years later, as Rachel was on the way to visit a friend, she saw a group doing free HIV testing along the way. She decided to stop and get tested, just to know for sure. When they told her that her test came back positive, Rachel was in shock. Blaming her husband, she went home furious and stayed mad at him for several days. Finally, after they had a lengthy discussion about it, she realized that neither of them had been unfaithful to one another. They thought that she must have gotten it through one of the injections she received the last time she had been in the hospital in 2000. Her husband was tested and he was also HIV positive. They worried what others might say about them, but both started taking ARV medication and leaned on each other for support. Rachel joined the CARE for AIDS program at Tudor center last June (2017). She and her husband were both sick at the time. They weren’t able to work and therefore weren’t eating very much food. They would likely soon be evicted from their home because they hadn’t paid their rent. Rachel had gone to the hospital for help. She was incredibly weak: barely able to walk and only able to see a few meters from where she was standing. She met the doctor and poured her heart out telling him their dire situation. He gave her 100 shillings for transport and referred her to the community health worker for their community. 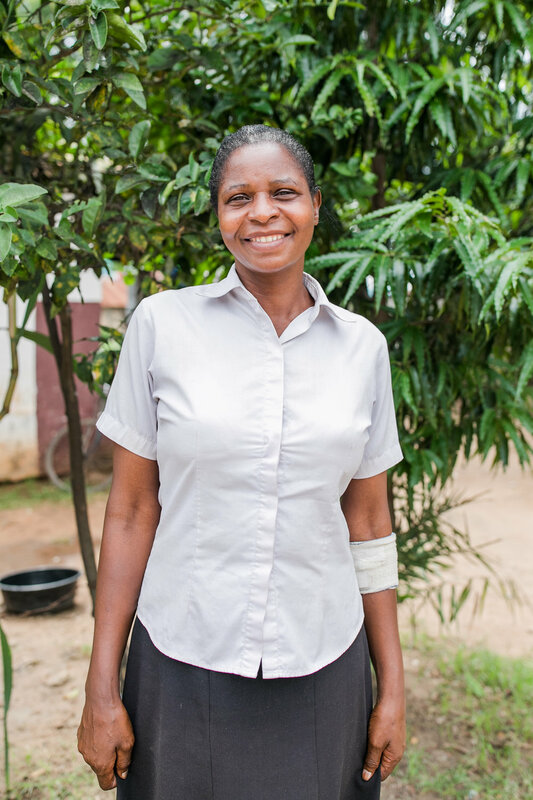 The health worker connected her with Sampson and Rose, staff of the CARE for AIDS center in Tudor. Rachel joined the CFA program and immediately started doing a little better because of the food packages that were provided each week of beans and rice. She started to regain a little bit of her strength and weight. “I was like a skeleton before getting food from CFA, my body was starving,” she said. Thankful for the support she was already receiving from CFA, Rachel didn’t mention any of her or her husband’s other health issues, not wanting to be a burden and thinking there wasn’t any opportunity for additional help. Unfortunately, her husband had defaulted on his ARV medication and he passed away in December from AIDS and a TB infection. Following the death of her husband, Rachel’s health started declining again. She had food provided by CFA, but lacked an appetite. Her blood sugar dropped often causing her to faint on several occasions. A friend took her to the hospital twice, but she was unable to pay for the treatment or medications that were prescribed. In March, she finally opened up to Rose about these health issues. She brought all of her old hospital paperwork and prescriptions for Rose to see. After looking through the documents, based on the previous doctor’s notes, Rose and Sampson knew it was likely that Rachel needed a blood transfusion. Rachel was taken to the hospital. Her blood level counts were incredibly low. She also had a urinary tract infection. The doctor set up a blood transfusion and prescribed antibiotics via IV for her infection. He also prescribed several medications to raise her blood levels and also to boost her appetite and reduce acid levels. CARE for AIDS also started providing her with a nutrient dense food supplement in addition to the weekly rice and bean packages. All of Rachel’s care was provided for by the medical endowment fund. My name is Pauline Saha. I am a mother of 3. It's about six years now since I tested HIV positive. I found out when I was pregnant with my last born child during the mandatory anti natal clinics. I was shocked and worried that my husband would chase me away. I later lied to my husband that the anti natal clinic insisted that my husband be there with me for and that we should be both tested. I also asked the counselor to act as if she was testing us for the first time. My husband agreed and he tested negative. He saw my results and we both received counseling. Soon after the clinic after we got home my husband changed for the worst. I was rejected, discriminated against, denied conjugal rights, my husband never used to even touch me- afraid that he would contract the virus through my sweat. After a long battle with stigma from right, left and center, God has been faithful and today my husband has changed to love me as I am and together we are bring up our children.